AW Ship Management are delighted to announce that Mr Matthew Liddell MSc CEng MIMarEST, has joined the company as a Project Manager. Matt has 28 years' service with the Royal navy, rising through the ranks Operational Engineering Officer, before a successful period working overseas in project management, business development and marine management roles. Matt's recruitment is an important part of AWSM's ongoing strategy to develop and strengthen its defence team to ensure that the service offers the required breadth and dept while maintaining value for money for our principals. 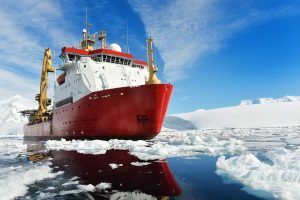 Matt will initially be assigned to the team responsible for maintaining HMS Protector, where he will be responsible for delivering a significant mid-life upgrade to the vessel in 2020. In response to some common queries regarding the MV Helena and the new shipping service, AWSM have added an Frequently Asked Questions (FAQS) page to the St Helena Shipping website. Please contact us if you have a query that is not answered within the FAQS. In recent months, issues with transhipment cargo ex-UK have been experienced as a result of both container lines serving South Africa from the UK omitting Cape Town as the first port of call. These omissions have affected the delivery of transhipment cargo on V.267 of the RMS and three of the first four voyages of the MV Helena. Please be advised that with immediate effect the export stack dates for this vessel will be based on the ETD and NOT on the ETA of the vessel. We regret to advise that we received official notice that the MSC Athens will omit her first Cape Town call, she will now keep all Cape Town cargo onboard and discharge on her north-bound voyage around the 25th May. Cape Town agents, RNC have issued cargo and small parcels receiving dates for V.04. Please see the below links.